A while ago I made a few lunch box straps. We use them pretty much daily, they are great at holding lids of lunch boxes in place. I needed one to hold a rain cover for a pram rolled in a tube but the ones I made before were too big. So I decided to make a couple more but with a shorter elastic this time. 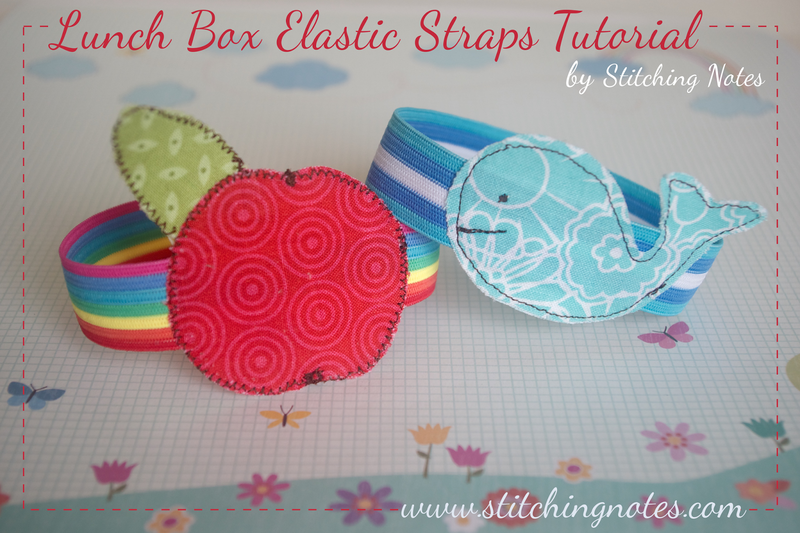 The straps are very easy and quick to make, and they are very useful. Here is a step by step tutorial, just in case someone might need it. Step 1: Iron the fusible web on to the wrong side of the fabric scraps. 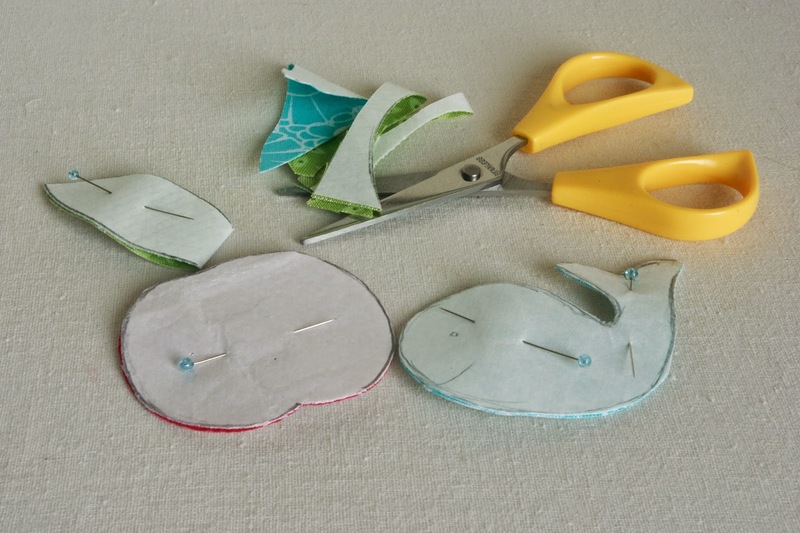 Note: If you want your shape to be more stiff, iron an extra layer of fusible web on your scraps. 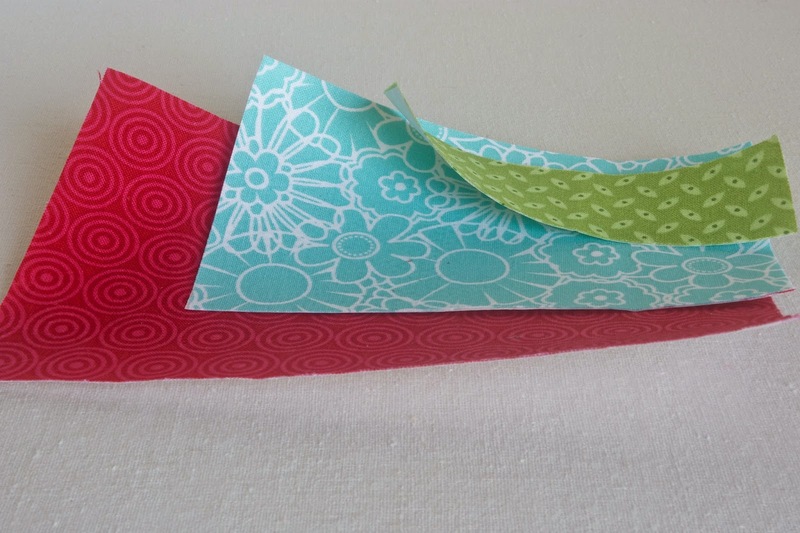 Step 2: Fold the pieces of fabric in half and draw your design on the paper of fusible web. It does not have to be perfect really. Just make sure that the details of your design are big enough to sew around the edges. Step 3: Pin both layers together and cut out the shapes you drew. 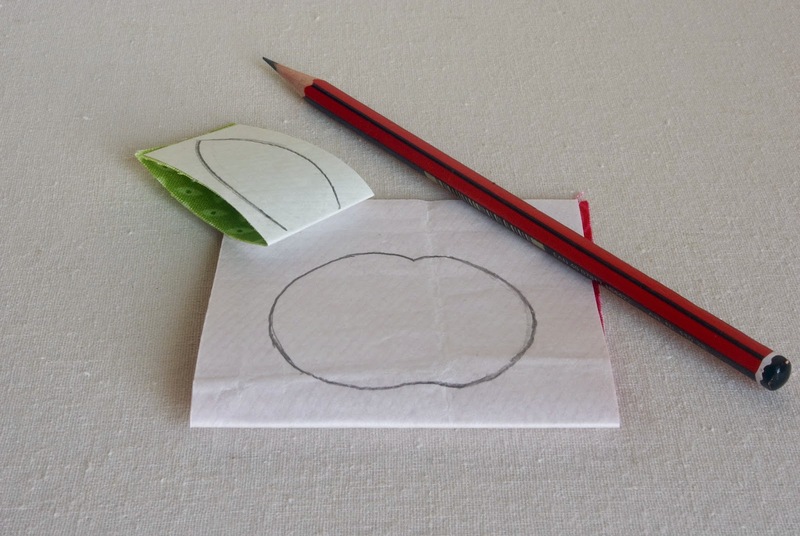 I am making an apple with a leaf and a whale. 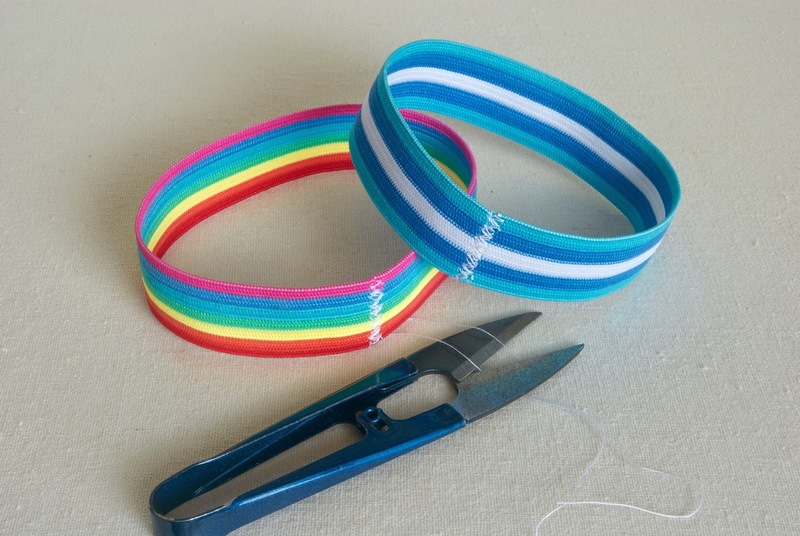 Step 4: Cut a piece of elastic of needed length. Set your machine to zigzag stitch. 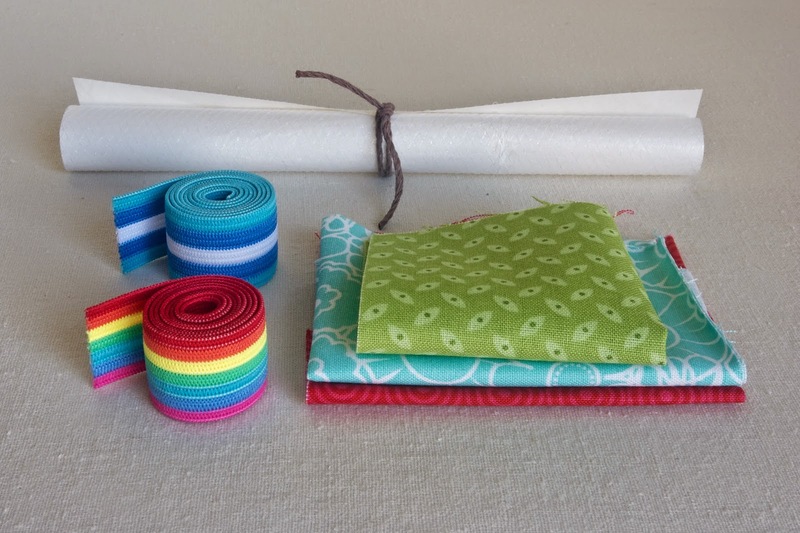 Bring both ends of elastic together so they are NOT overlapping. Hold in place and stitch forth and back a few times. Step 5: Position the fabric shapes on to the elastic to cover the seam. Align the front and back pieces and gently press with a hot iron. Note: For the apple, I put the leaf between the front and back sides of the apple and ironed it. Step 6: Stitch around the edges of the design. 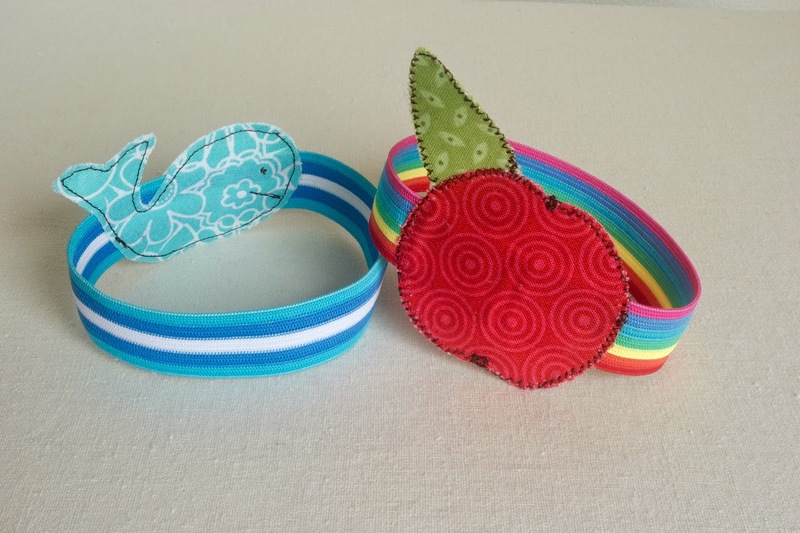 You can use free hand motion, plain stitch or zigzag stitch on your machine. You can also hand stitch using running stitch or blanket stitch. Your personalised elastic straps are ready to be used. By the way, you can hand or machine wash them when they get a bit grubby/mucky. These are so cute Larissa!!! 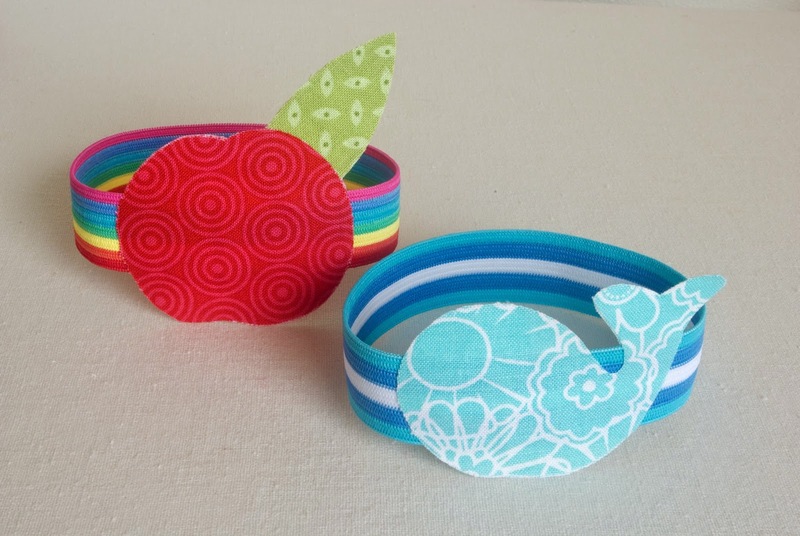 My kids would love to dress up their lunch boxes with straps like these!!! !